Minoxidil may cause serious heart problems or worsen chest pain (angina). Therefore, this medication is only used when other treatments have not worked well or cannot be taken. Your doctor should direct you to also take other medications to reduce the side effects of minoxidil. These medications include a "water pill" (diuretic) to prevent the body from holding on to too much water and salt and a heart medication (such as a beta blocker including propranolol) to prevent the heart from working too hard or beating too fast. Your doctor will follow you closely while you are taking this medication. Keep all regular medical and laboratory appointments. Minoxidil is used with other medications to treat high blood pressure (hypertension). Lowering high blood pressure helps prevent strokes, heart attacks, and kidney problems. Minoxidil works by relaxing blood vessels so blood can flow more easily. Take this medication by mouth with or without food as directed by your doctor, usually once or twice a day. The dosage is based on your medical condition and response to treatment. In children, the dosage is also based on weight. Your doctor may direct you to start this medication at a low dose and gradually increase your dose. Follow your doctor's instructions carefully. Take this medication and your other blood pressure medications regularly in order to get the most benefit from them. To help you remember, take them at the same time(s) each day. It is important to continue to take your medications even if you feel well. Most people with high blood pressure do not feel sick. It may take several days to a couple of weeks before you get the full benefit of this drug. Tell your doctor if your condition does not improve or if it worsens (your blood pressure readings remain high or increase). What conditions does Minoxidil treat? Dizziness or lightheadedness may occur as your body adjusts to the medication. If either of these effects persists or worsens, tell your doctor or pharmacist promptly. Minoxidil may cause increased growth or darkening of fine body hairs. If this bothers you, consult your doctor. When you stop taking the medication, the hair will usually return to normal within 1 to 6 months. Tell your doctor right away if you have any serious side effects, including: swelling hands/ankles/feet/abdomen, unexplained/sudden weight gain, shortness of breath, fast heartbeat, fainting. List Minoxidil side effects by likelihood and severity. Before taking minoxidil, tell your doctor or pharmacist if you are allergic to it; or if you have any other allergies. This product may contain inactive ingredients, which can cause allergic reactions or other problems. Talk to your pharmacist for more details. Before using this medication, tell your doctor or pharmacist your medical history, especially of: pheochromocytoma, heart problems (such as heart failure, chest pain, recent heart attack), kidney disease, a certain lung disease (pulmonary hypertension). What should I know regarding pregnancy, nursing and administering Minoxidil to children or the elderly? Some products that may interact with this drug include: guanethidine. Does Minoxidil interact with other medications? Lab and/or medical tests (such as blood minerals levels, kidney function, weight) should be done while you are taking this medication. Keep all medical and lab appointments. Consult your doctor for more details. 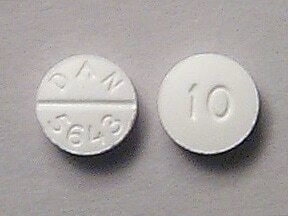 This medicine is a white, round, scored, tablet imprinted with "DAN 5643" and "10". 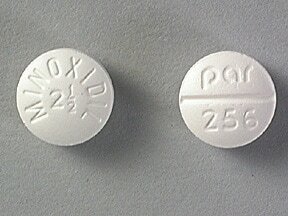 This medicine is a white, round, scored, tablet imprinted with "DAN 5642" and "2.5". 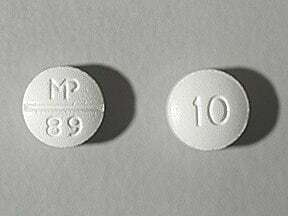 This medicine is a white, round, scored, tablet imprinted with "MP 89" and "10". 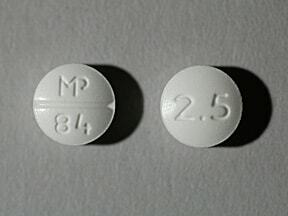 This medicine is a white, round, scored, tablet imprinted with "MP 84" and "2.5". 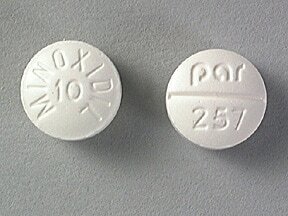 This medicine is a white, round, scored, tablet imprinted with "MINOXIDIL 10" and "par 257". 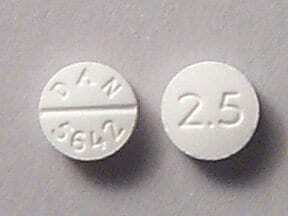 This medicine is a white, round, scored, tablet imprinted with "MINOXIDIL 2 1/2" and "par 256". Are you considering switching to Minoxidil? How long have you been taking Minoxidil?